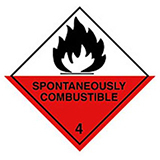 These hazardous warning labels for chemicals and dangerous substances which are not permitted on passenger aircraft. 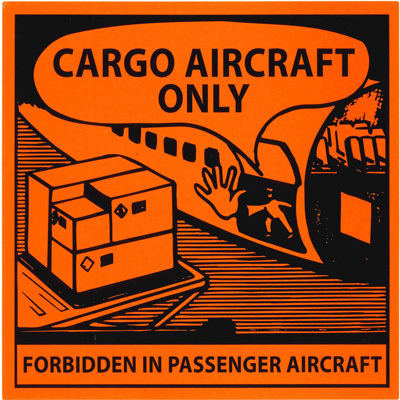 Conform to International Air Transport Association (IATA), International Civil Aviation Organization (ICAO) and Department of Transport regulations. Each roll contains 250 labels, measuring 100mm x 100mm and manufactured from self-adhesive vinyl. Label Dispensers- Quick and easy to use label dispensers for wall mounting. 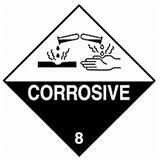 Class 5 Warning Labels- Oxidising substances and organic peroxides. 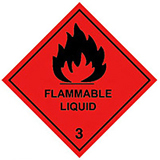 Class 6 Warning Labels - Toxic and infectious substances.